For twenty plus years, A Kid Again has helped to restore a sense of normal for families thrust into the situation of having to care for a child with a life-threatening illness. Often these families are unprepared and unequipped to deal with what follows. A Kid Again hosts year-round events to support these families and provide them with memories that will last a lifetime. We make life for families caring for a child with a life-threatening illness “normal” again by helping them gain back moments of positive, family-shared experiences and memories. A Kid Again is specifically designed to involve the entire family (not just the child who is ill) to improve the wellbeing of everyone affected by the situation. The families who participate in A Kid Again give back as much as they receive by connecting with each other and sharing their own stories of strength and encouragement. Year ‘round fun-filled adventures that allow children with life-threatening illnesses to feel like A Kid Again. A Kid Again works to create a communal and interactive environment. Our program establishes ongoing, nurturing experiences that complement but do not overtake their day-to-day living. We accomplish this mission through the dedication of our volunteer network and the generosity of our donors. We strive to go beyond activities, providing comprehensive, practical support to help families cope with the extended effects of life threatening illnesses. Your generosity will help thousands of kids living with a life-threatening illness receive the gift of hope, happiness, and healing in the time they need it most. Please donate today and help us fuel adventure. You can have an impact on kids and families who truly need it. All volunteers will need to register with A Kid Again and pass a background check before being able to volunteer at events. We can always use volunteers in a variety of roles. Data entry, stuffing envelopes and helping at our events. We are in current need of office support. 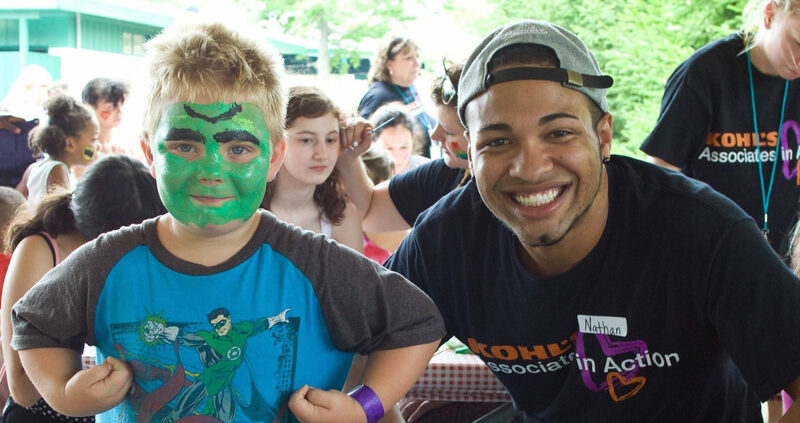 If you would like to learn more about volunteering for A Kid Again, visit our Volunteer page! Do you have or know a child with a life-threatening illness? Enroll them with this chapter to be a part of the A Kid Again family! Join our team in giving illness a timeout.